Oshkosh has received orders for the SandCat from Kazakhstan. 20 april in Astana showed the first armored vehicles purchased for the needs of the Armed Forces of Kazakhstan, reported military-informant.com. The Sandcat is based on a shortened Ford F-350 Super Duty commercial pickup truck chassis. Newer vehicles are based on the F-550 Super Duty chassis. 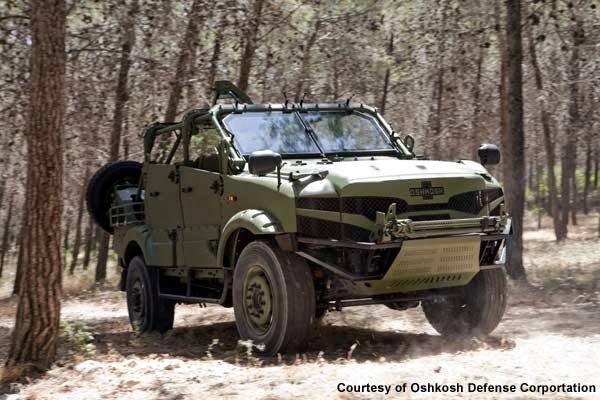 Lightweight armor of the Sandcat is a combination of steel, ceramics and composite materials. 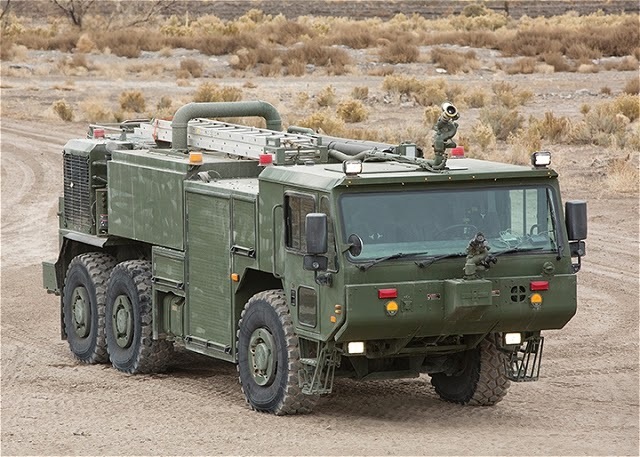 This light protected vehicle has variable levels of protection. Various modular armor kits can be fitted. Vehicle can be uparmored in the field. Interior is lined with a spall liner. Later production vehicles have a V-shaped hulls and mine blast-absorbing seats. Sandcats produced since 2010 have twice the mine protection of an original vehicle. An NBC protection and fire supression systems are proposed as an option. Recent versions are powered by a Ford 6.4-liter turbocharged diesel engine, developing 325 hp. There is also a 6.7-liter diesel, developing 400 hp. Engine is mated with a 5-speed automatic transmission. Vehicle has a 4×4 configuration, which can be switched to 4×2 on hard surface roads. It is reported that the Sandcat has excellent acceleration and handling for an armored vehicle. Self-recovery winch is optional. This light protected vehicle can be airlifted by CH-47 and CH-53 helicopters, as well as C-130 tactical cargo aircraft. A Sandcat Plus is a stretched version. It has 8 seats and is intended for special operation forces. Another stretched version has up to 11 seats. 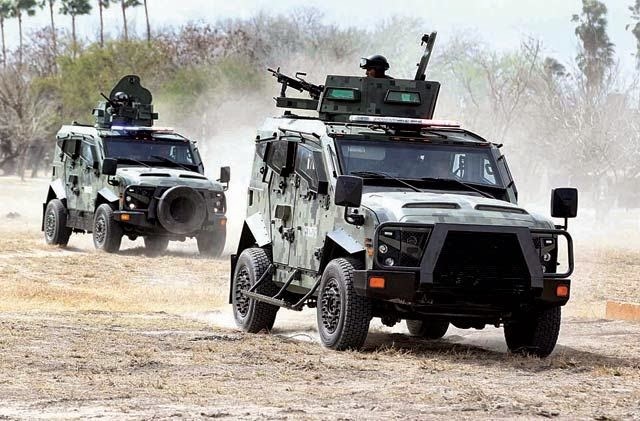 Other variants include a mine protected patrol vehicle (M-LPV), special operations vehicle (SOV) with soft-top configuration, utility and transport vehicles. 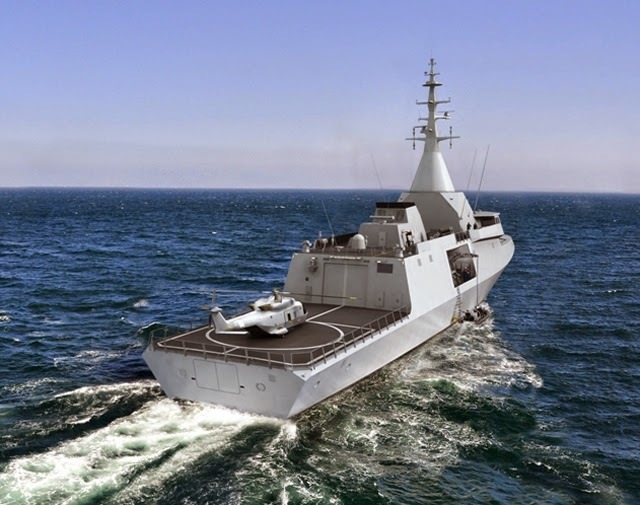 On April 16 2015, DCNS started cutting metal for the very first GOWIND® 2500 corvette under construction in Lorient, in the presence of high representatives of the Egyptian Navy. 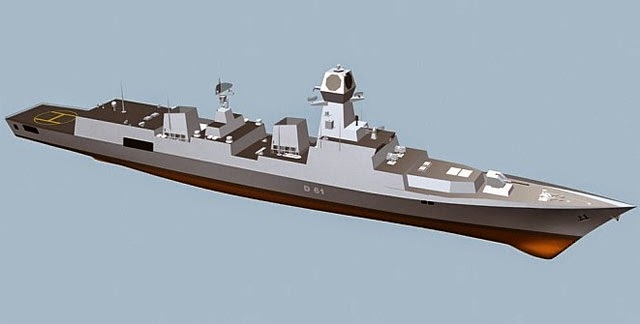 This vessel is the first of a series of four units that will be delivered to Egypt before 2019. The cutting of the first metal sheets for the first GOWIND® 2500 corvette built in Lorient symbolises the launch of the ambitious industrial program conducted by DCNS for the Egyptian Navy. It includes the construction of four latest-generation corvettes, both in France and Egypt. The delivery of the first vessel is slated for 2017, i.e., less than four years after the signature of the contract last summer. With this contract, DCNS has scored another success for the GOWIND® 2500. 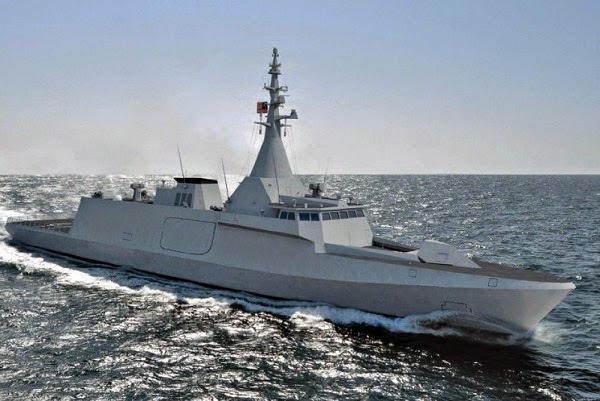 The Group had already won a first contract for the Royal Malaysian Navy, which covers the design and construction of six corvettes in Malaysia at the Boustead Naval Shipyard through technology transfer. The first Egyptian GOWIND® 2500 corvette will be built on the DCNS site in Lorient, one of the most modern naval shipyards in Europe. The three following units will be built in Alexandria within the frame of a construction technology transfer agreement. “This industrial milestone is the concrete output of preliminary work to adapt the vessel to the specific needs of the Egyptian Navy, conducted over the last nine months by the DCNS teams. Today, we have started the construction of the very first GOWIND® 2500 corvette, the reference product on the corvette market. We are proud to produce this latest-generation vessel for the Egyptian Navy, declares Bruno Chapeland, director of the Egypt GOWIND® program at DCNS. Over the last year DCNS has established strategic relations with Egypt in the frame of the modernisation of the country’s surface fleet. The sale of a FREMM multi-mission frigate in February 2015 and four GOWIND® 2500 corvettes in July 2014 are a demonstration of the trust placed in the Group. DCNS is pursuing a long-term partnership with the Egyptian Navy and Egyptian industry. The start of production of the future Egyptian GOWIND® 2500 corvette underlines DCNS’s industrial capacity to manage and realise major programs in France. The DCNS site in Lorient is specialised in the design and construction of surface vessels of 1,000 to 8,000 tonnes. Currently, DCNS is simultaneously building there five FREMM frigates for the French Navy and the GOWIND® corvette for the Egyptian Navy. The DCNS teams are also preparing the delivery of the currently so-called FREMM Normandie, for Egypt. The GOWIND® 2500 is a reference product on the worldwide corvette market. 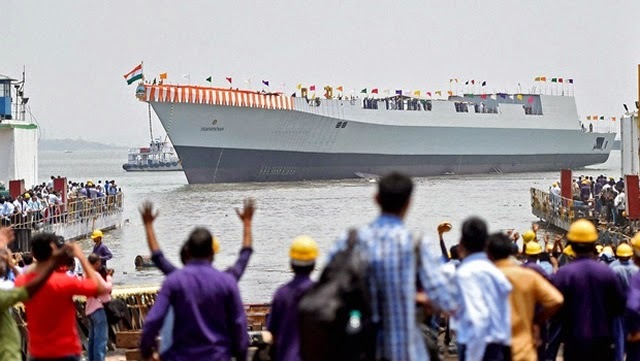 This vessel responds to the needs of navies to have access to a complete and multi-mission combat vessel for sovereignty and maritime protection operations and the fight against illicit trafficking. Ten corvettes have already been ordered by our international partners: Malaysia (6 units) and Egypt (4 units). The GOWIND® 2500 is bristling with the very latest technological advances, developed and implemented by DCNS for naval defence. It incorporates the SETIS combat system, developed by DCNS for FREMM frigates and GOWIND® corvettes, the “Panoramic Sensors and Intelligence Module (PSIM)” – an assembly bringing together the integrated mast with its various instruments as well as the Operational Centre and its associated technical rooms – and the high degree of integration, automation and conviviality of the DCNS systems. Weapons: 8x Exocet MM40 Block 3 anti-ship missiles, 16x VL MICA surface to air missiles (both by MBDA), Torpedoes, a 76mm main gun (Oto Melara), 2x 20mm remote weapon stations and Sylena decoy launcher by Lacroix. Sensors: Smart-S Mk2 radar, Kingklip hull mounted sonar, Captas 2 variable depth sonar, Vigile 200 Radar - ESM, Altesse Communication - ESM (all by Thales). 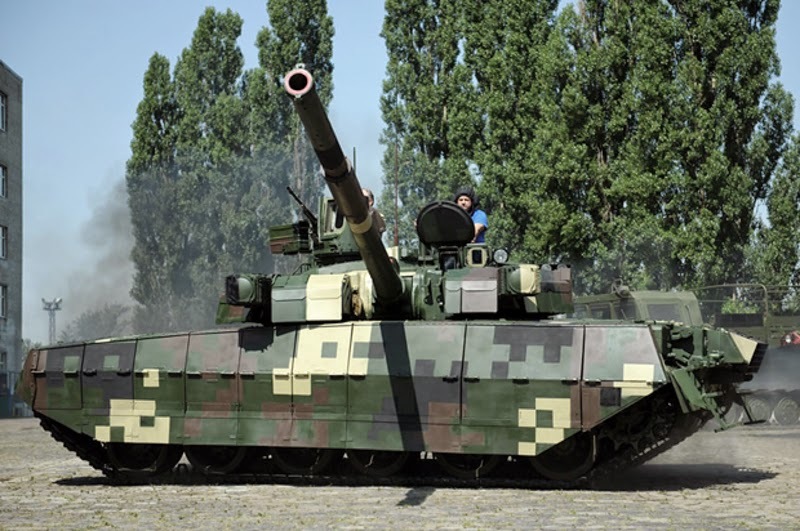 As reported by colleague andrei_bt , Kharkov State Enterprise “Plant named after VA Malyshev,” completed the production of the second batch of five series of tanks BM “MBT-T” under contract with Thailand in 2011. 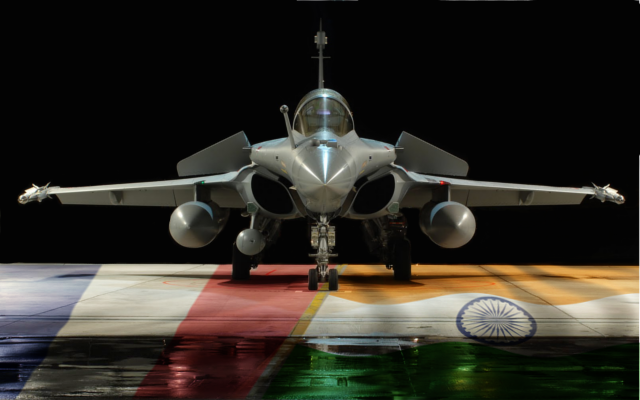 Based on the above link to photos, the second batch of five tanks were ready at the beginning of 2015, although there is no information when the tanks is being sent to the customer. The tanks were made ​​in pursuance of a contract worth more than $ 240 million signed by GK “Ukrspetsexport” September 1, 2011 for the supply of 49 new Thai Army tanks BM “MBT-T” and two armored recovery vehicles based on them, with the term of the contract is to the end of 2014. 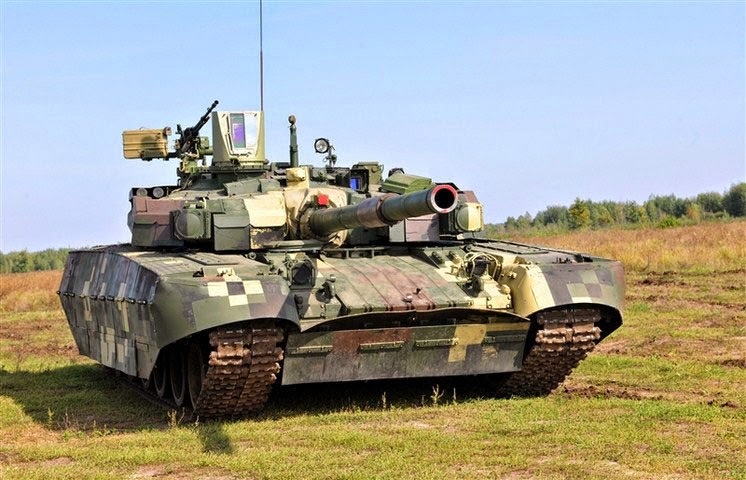 Thailand is actually delivered to launch customer tanks BM “Oplot” developed by SE “Kharkiv Machine Building Design Bureau named after Morozov,” is a further development of the family of T-80U / UD. Performance of the contract “Plant named after Malyshev” began in April 2012 and the company has faced considerable difficulties in resuming tank production after more than ten-year hiatus. Kazakhstan Air Force has received new Sukhoi Su-30SM. 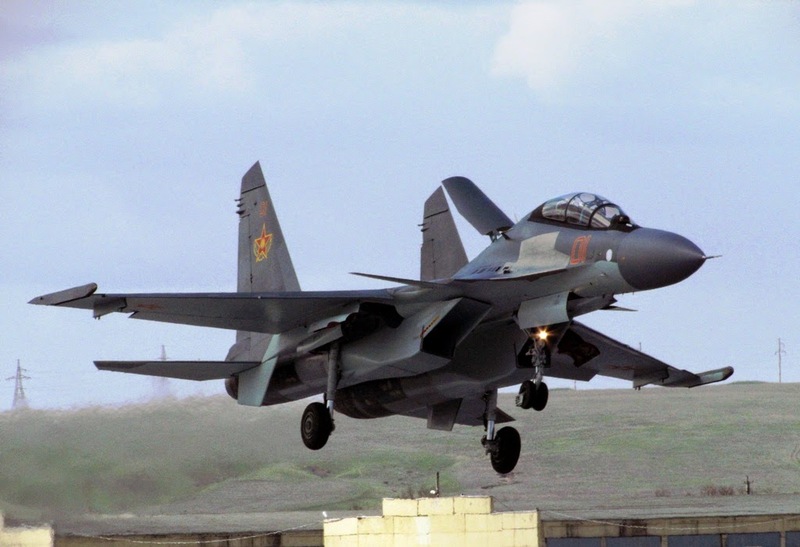 The Ministry of Defence of the Republic of Kazakhstan April 17, 2015 to announce the arrival at the air base in the city of Taldykorgan new Su-30cm. 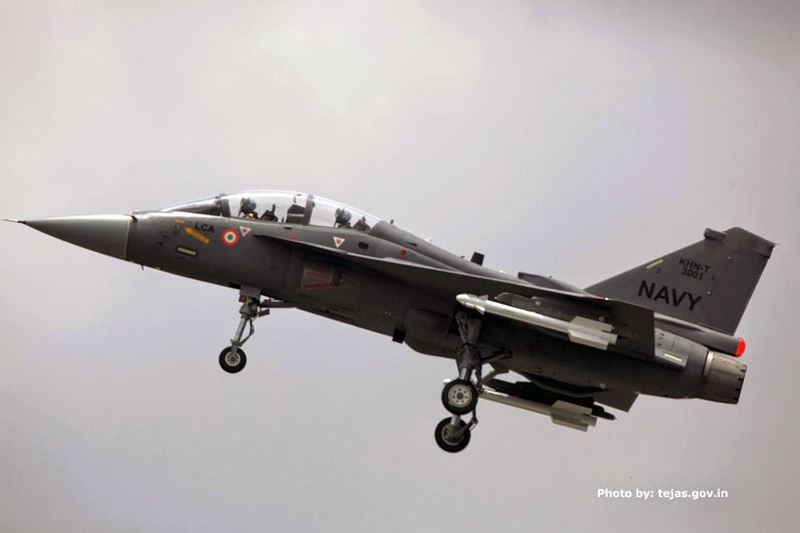 This multi-purpose aircraft will greatly enhance the combat potential of the Air Defense Forces. 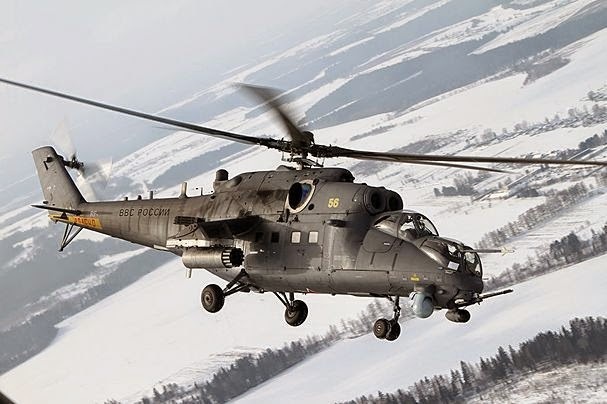 In addition, the technical capabilities of the aircraft will achieve a high level of training of flight crews, “- said Air Force Major General Nurlan Ormanbetov. 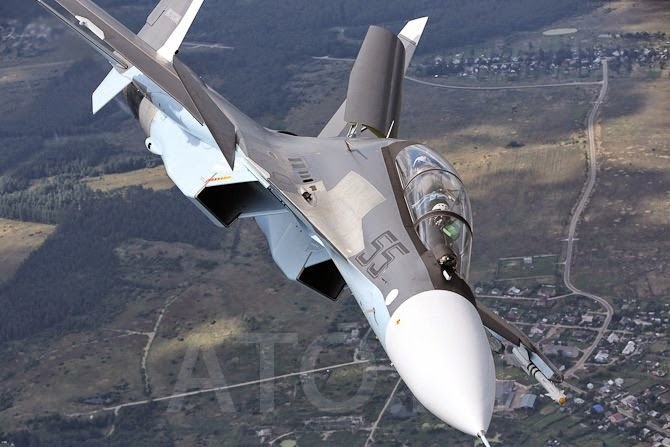 Recall that in the near future Kazakh Air Force extended with new fighter Su-30cm 4 ++ generation. 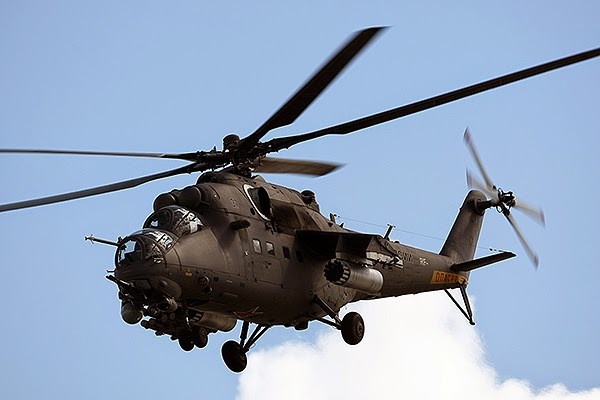 This will significantly increase the reliability of the protection of the air borders of our country – the Republic of Kazakhstan. Kazakh army every year is growing, the troops received modern military equipment, increasing the professionalism of our military personnel. 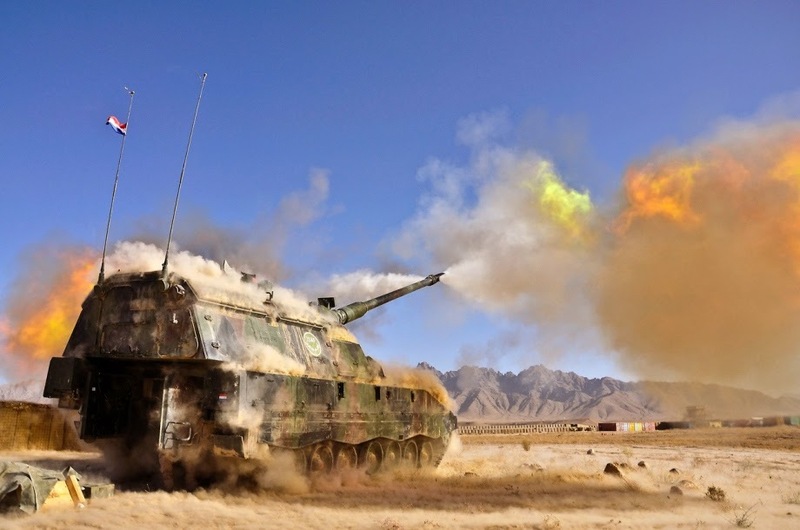 Lithuania is to begin negotiations with Germany over acquisition of an undisclosed number of Panzerhaubitze 2000 self-propelled artillery systems. Disclosure of the talks, to be held beginning in May, was made by Lithuanian Minister of National Defense Juozas Olekas following a meeting with German Federal Minister of Defense Dr. Ursula von der Leyen. 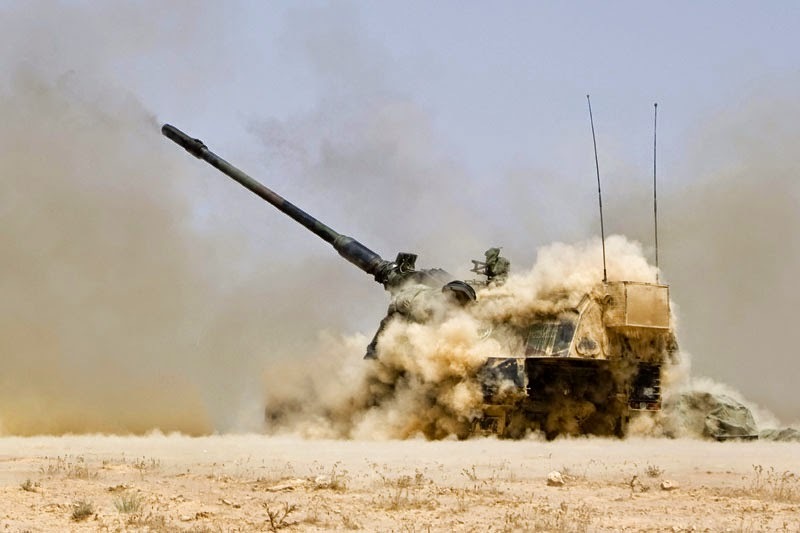 "The Federal Defense Minister and I discussed the possibility for Lithuania to buy Panzerhaubitze 2000 self-propelled artillery systems from Germany and we have received a positive answer," he said. "That allows us to begin concrete negotiations in May that, let's hope, will lead us to acquisition of the so-needed capabilities in the nearest future." Olekas also said Lithuania is interested in the possibility of purchasing infantry fighting vehicles from a German manufacturer. Lithuania is located in the Baltics and was once part of the defunct Soviet Union. Like other Baltic states it is troubled and anxious over Russia's annexation of Crimea from Ukraine and continued Russian threats to the region. Lithuania does not have an Air Force and depends on NATO countries -- Germany among them -- to provide security in its airspace. "My German counterpart and I have agreed that the developments in Ukraine have not only changed the settled order in essence but have also given a new drive for our bilateral relations in the area of security, so that we would unify our capabilities and give an appropriate response to the emerging threats in the Baltic Sea region," Olekas said. Washington is interested in developing cooperation with Moscow and Beijing in the field of security in outer space, US Assistant Secretary for Arms Control, Verification and Compliance Frank A. Rose said at the annual Space Symposium in Colorado Springs (Colorado) on Thursday. "During the Cold War, the United States and the Soviet Union found many areas of mutual interest in avoiding potentially destabilising actions," he said. 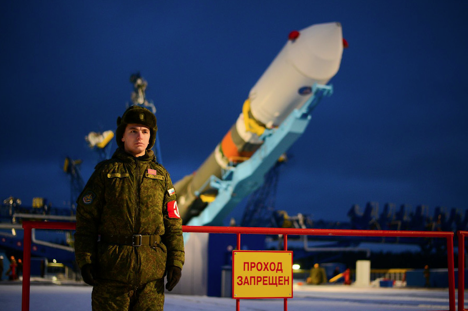 "The 1963 Limited Test Ban Treaty, which prohibited the testing of nuclear weapons in outer space, started a fifty-plus-year string of bilateral arms control treaties and agreements with the Soviet Union, and later the Russian Federation. We also came to agreement in many other realms, including chemical and biological weapons," Rose said. In this regard, Rose expressed his confidence that "it is reasonable to assume that most nations, if not all nations, would find it to be in their national interest to prevent conflict from extending into space, knowing that such conflict would degrade the sustainability of the space environment, hinder future space-based scientific activities, and potentially reduce the quality of life for everybody on Earth if the benefits of space-based applications were eroded. Convincing other nations, including China and Russia, of this objective is the role of diplomacy." The US Assistant Secretary of State also said, "If diplomacy fails, and the use of force does extend to space, the United States must be prepared to protect our space capabilities and prevail in conflict. That is absolutely clear. 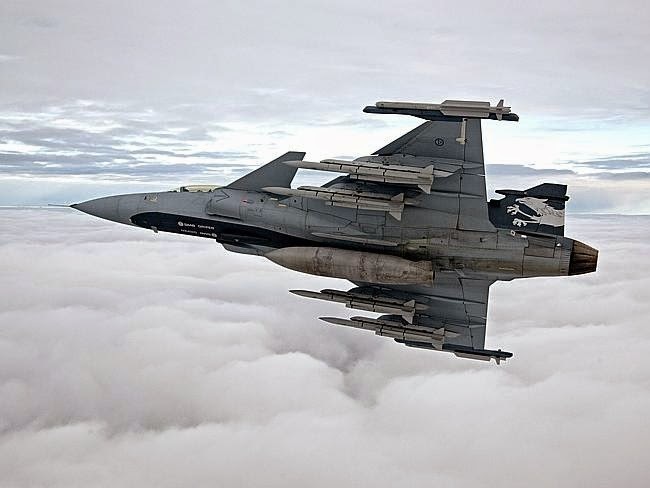 The UK government is unlikely to block any request by Argentina to buy Saab Gripen NG fighters, Brazilian defence minister Jacques Wagner told reporters on 15 April. 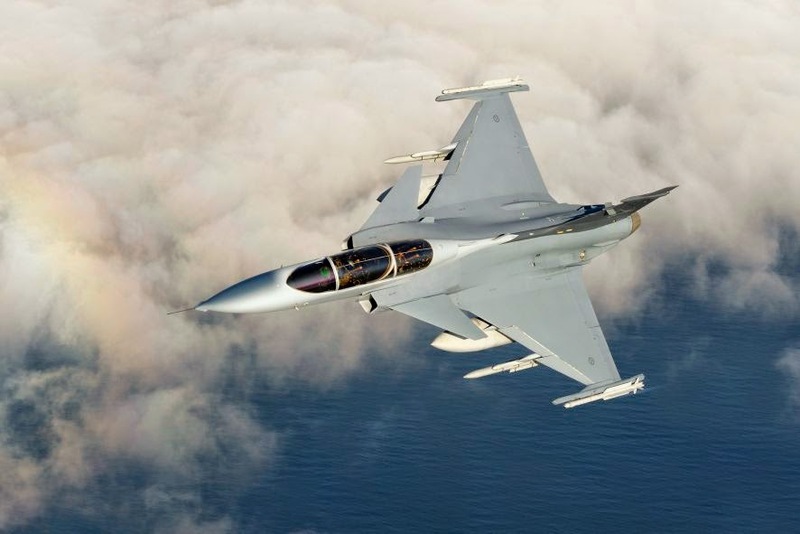 The statement at the Latin American Aviation and Defence exhibition comes nearly six months after Argentinian defence minister Agustin Rossi expressed interest in Brazilian-assembled Gripen NGs, despite a need to import key technologies such as the ejection seat and the radar from a historic rival in the UK. So far, there has still been no official request by Argentina to import British technologies for either Gripen NGs or Embraer KC-390s, Lt Gen José Crepaldi, head of Brazilian air force acquisition programmes. Argentina is one of the three international industrial partners in Embraer’s KC-390 tactical transport. Several KC-390 systems are supplied by British or British-controlled firms, such as BAE Systems flight control computers and active side stick controllers, Ultra Electronics electronic controls and sensors as well as Cobham’s fuel tanks, inflight refueling equipment and composite material nose radomes. Wagner mentioned that to overcome any “obstacles” Embraer might have to substitute these blocked components by other international suppliers. 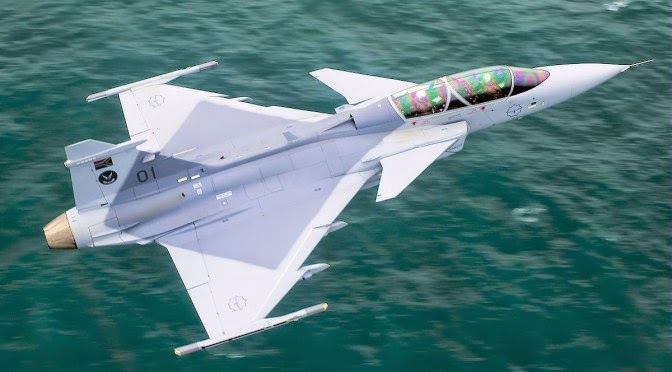 Wagner did not elaborate on whether Brazil or Argentina would be required to pay for such redesign and recertification of the KC-390 or the Gripen NG. According to Wagner, the full resolution of restrictive export policies will only be possible once the UK accepts to “discuss the issue of the Falklands Islands sovereignty with Argentina through UN-mediated talks”. Separately, Wagner also acknowledged that the Brazilian government recently owed Embraer around $200 million in unpaid bills for the KC-390 development, but about $40 million of that total was paid last week. Confrontation between Russia and the United States is gathering momentum and may, literally, soon assume a cosmic scale. This is in reference to technologies that are being developed in the US which, in the near future, may affect the global balance of power and threaten to level the role of Russia's strategic nuclear forces. Once rockets were invented to travel to space, their creators decided on additional uses for them, including for delivery of the most powerful existing weapons: nuclear ones. The Outer Space Treaty of 1967 banned the placement of nuclear weapons in outer space. However, this condition did not apply to conventional weapons. So, if you can not “bombard” the enemy with nuclear missiles from space, you can still intercept those missiles. This loophole was also dealt with in negotiations that culminated in the signing of the 1972 Treaty on the Limitation of Missile Defence. In 2001, the United States withdrew from the ABM Treaty. The US has now positioned marine and land-based Aegis systems capable of shooting down missiles with a range of up to 5,500 km in locations across the world. Additionally, there are silo-based interceptors GBI, the creation of a whole system of radars (including the floating SBX) and the placement of the latest complexes THAAD in South Korea to cover the “dark” areas for the US missile defence system over Siberia and the Russian Far East, where the initial and the most vulnerable flight zone of the Russian ICBMs is out of visibility range of American radar. On April 12, 2015, the Russian EKO troops spotted a group of electronic reconnaissance satellites on the orbit. 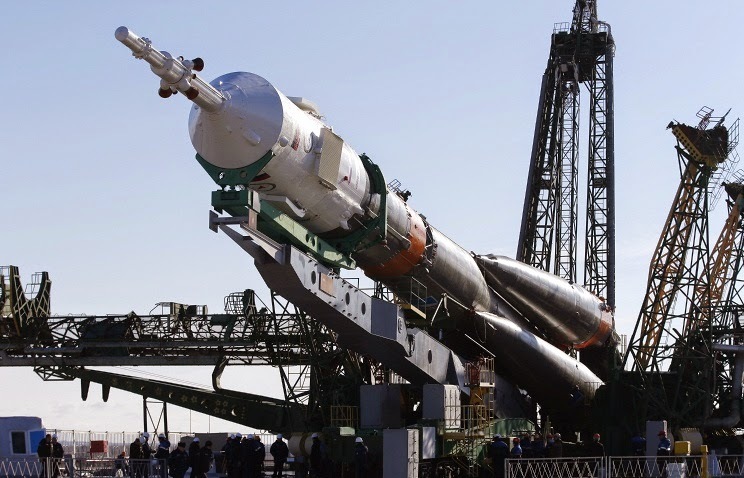 “This satellite constellation is being developed to carry out communications surveillance of the facilities based inside Russian Federation territory,” said Oleg Maidanovich, commander of the Aerospace Defence Forces' Space Command Troops. The Ministry of Defence has not indicated the state affiliation of the satellites, but analysts point to the ownership of the spy satellites as the United States. “Obviously, we are talking about the United States, which possess electronic reconnaissance satellites, in particular the series ‘Ferret-D’, working in the upper range of the radio spectrum, where the means of guidance, detection and missile defence operate,”- Igor Korotchenko, chief editor of ‘National Defense’ magazine, told TASS. Russia's abilities to respond to existing threats at this time are limited, not only from geopolitical, but also from the financial point of view. In the current situation, any response can only be asymmetric. Given these circumstances, the Russian focus has been on the development of new ICBMs, the creation of universal air defence systems;PRO C-400 and C-500; and the modernization of the Moscow missile defence. 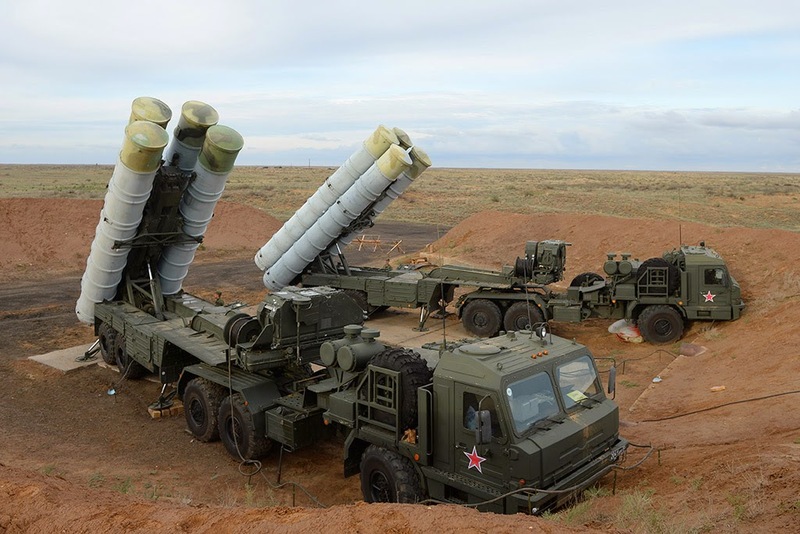 Tests are in progress for a new missile for the S-400 system, which has a range up to 400 km. This indicator applies to aerodynamic targets, such as aircraft. The exact distance and height at which missiles can be brought down (defeat range) is not specified, but it is reported to be capable of destroying missiles in the near space. At the same time, work is underway on a system of air defence for new generation C-500 and the new system of the Moscow ABM A-235, which will work in tandem. The operation is scheduled to start in 2017. In the meanwhile, the Russian defence industry is going to raise the production of missiles for air defence and missile defence threefold, as compared with 2014. In Russia, work is underway to ensure constant target intelligence. According to Anatoly Savin, the scientific director of JSC Almaz-Antey, an “original system of space intelligence” has been created which allows for detection and tracking the movement of US carrier-based compounds, as well as strategic NATO submarines, in the oceans. “We began to keep virtually all of the world's oceans under constant surveillance,” he added. Additionally, in the near future, expansion of the network of autonomous radar (RLS) in the Arctic region has been planned. The effort of all mankind is to prevent the transition to full-scale war in outer space. Today, the US is not willing to negotiate. This explains the failure of the country to support the draft of a comprehensive treaty to prevent the deployment of weapons in the outer space, which Russia and China have been preparing since 2007. In this situation, the United States will require a great deal of convincing that the agreement meets their interests. And that would only be possible with the building up of the very asymmetric measures that are underway in Russia and China. To this end, China has already bought the Russian S-400 system. 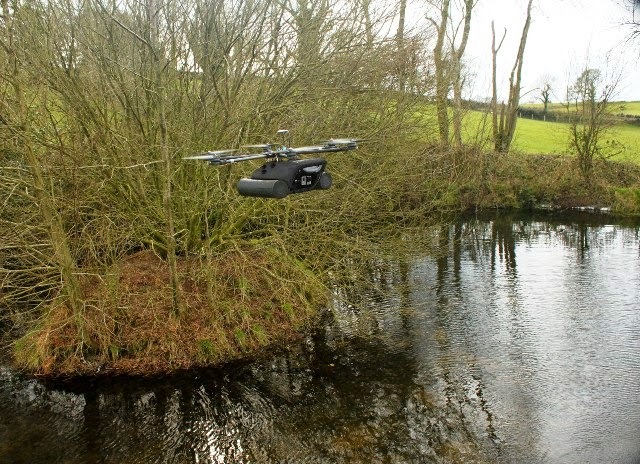 UK UAV manufacturer Search Systems Ltd., has developed a UAV-ROV crossover - the Mariner 600 - which is an unmanned multicopter with aquatic landing capability and interchangeable aerial and marine camera views. Featuring a live video feed with military grade encryption, the Mariner 600 is ideally suited to difficult searches of inland waterways, under trees, riverbanks and quarries. Designed to the same high specifications as their previous vehicles and aimed at the cost conscious buyer, the Mariner 600 is compatible with existing Search Systems ground stations and mobile command units, making it a low cost upgrade to existing unmanned assets or an excellent entry to the market with dual aerial and aquatic capability. Utilising a multirotor flight control system with surface thrusters for driving on water, the Mariner 600 is the ideal vehicle for working over water or shallow searches. Working alongside a dive team, the UAV-ROV crossover provides pre-dive information on inaccessible points, potential entanglements and an aerial view of the search area. The Mariner 600 includes an Electro Optical camera as standard with thermal available as an upgrade.